The meaning and scope of culture in the context of a society are quite extensive. Culture includes belief systems, dress sense, cuisines, dance and music, literature, thought process, superstitions, interests, festivals, language and everything relating to a society. It is the collective behavior of a particular society. Obviously, culture can’t be constant for all the ages; it changes its color along with the evolution of the society. What was the culture of a society few hundred years ago, that may not be culture of that society on the current day and age. It is quite natural, because, society is bound to change due to various factors and being correlated to society, culture also gets a new form invariably. However, society or culture of the present day is not entirely independent of its past. In fact, our past has a huge role in shaping of culture of a contemporary society. Sometimes it may not be clearly grasped, but, no one can deny that a big part of our present culture is inherited from the past. If we want to understand the present, we need to look back to our past. In this context, importance of the study of folk culture comes into the fore. Even the most evolved society carries some remnants of the past; we may name it tradition, heritage or folk culture. Folk culture usually denotes the culture of the primordial period of a society. It definitely indicates the past of a society and is not related to the current stage of that particular society. Academically, many scholars may opine that the scope of the folk culture may not be that wide. In a brochure of the ‘Folklore society of London’ established in 1878, it was said that it includes traditional institutions, faith, art, behavior, fable music practiced by the lower class or by the uncultured class of an evolved society. It seems the initially folk culture was not put in a higher niche, rather it was looked down on. Contrary to this notion, however, folk culture helps us enormously to understand the psyche of the society, particularly, the study of folk culture can be very useful to understand the nature of evolution of societies. Before we delve into the importance of folk culture, we can infer that folk culture has the following characteristics. Firstly, folk culture is related to the distant past of a society. Secondly, it is related to the primitive stage of a society. Thirdly, it is static and can’t change, otherwise we can’t term it as folk culture. Fourthly, it is alive in unwritten tradition of people, but, getting extinct due to ever growing urban lifestyle. Now, it is seen that folk culture is generally related to the past of a society. In this context first question will arise how the folk culture can impact the present day society, if it has nothing to do with the current period? We have already discussed a little how the study of folk culture can be useful in this age also. Now, we shall try to elaborate the significance of folk culture in contemporary society a little more. Now a days societies is normally heterogeneous. Members of a society may hail from different geographical and racial origins. Such features are evident, particularly in the urban societies. Apparently in such a complex or hybrid society, it is quite hard to distinguish the origin of one person from another from their day-to-day social demeanor. However, every person carries more or less some specific inherited traits or practices from his or her forefathers.We may term these practices as traditions which is actually an offshoot of the folk culture of the original tribe/community to which he or she belongs to. So, if we observe a person close enough we can easily determine his actual root or origin. In this context study of folk culture can help us many ways. In this modern age, even a tribe who tries to keep its tradition and culture intact, is bound to make some changes in its existing culture so that it can adapt itself to the demand of time. In this age of globalization and liberalization, no civilized tribe/community can isolate themselves from others. But, consequently, the community may lose gradually their inherent traits in that process of adaptation. So, apart from the specific physical features what distinguishes a particular tribe from others, is its folk culture. Folk culture acts as an identity of the particular tribe. However globalized or civilized a tribe may be, there are some remnants of ancient culture among them and generally they try to make it alive, because, these are the basis of the existence of the tribe concerned. Practicing of folk culture helps to make alive the homogeneity and the sense of belonging among a tribe or community. On the other hand, outsiders of the community can identify them with the kind of folk culture they practice. In modern day, a society comprises people from different ethnic, linguistic or geographical origins. It’s like a couple of glasses of water with different colors put in a single vessel. Here, the end result is completely different from its components. Similarly, in a heterogeneous society different groups of people having different sets of cultures combine together to become a new kind of culture. However, the process of assimilation may be at different stages in different societies. On the other hand, the intention of keeping one’s own folk culture intact results diversification of the culture in a heterogeneous society. It smears multiple hues in the social fabric which makes a society very vibrant and interesting. Generally folk culture evolved in the primitive stage of human society. The kind of practices, beliefs, activities which comprise the folk culture are directly related to nature. The folk culture is derivative of the relationship of the primitive man with nature. The way the primitive man perceived nature, which structured their culture. That is why folk culture is quite organic. A human being like any other creature on the planet is actually the child of Mother Nature. 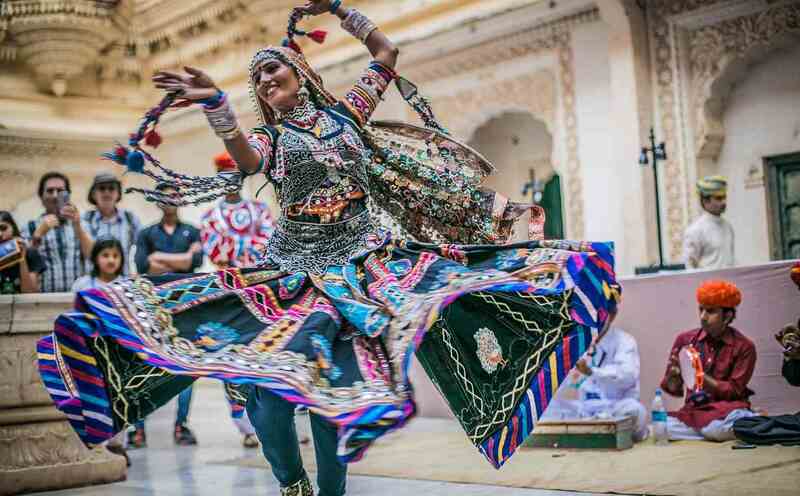 Growth of civilization and intellectual development may sometimes force the human mind to forget this fact, but, folk culture by its own beautiful way can remind them their originality. We have already mentioned that folk culture represents the early period of a society. The kind of beliefs, practices, art, food habits, superstitions, festivals, almost everything related to that period of the society are reflected in folk culture. As such folk culture can be a great resource for the study of the early history of human society. What kind of folk culture a tribe or community inherits from its forefathers indicates the root of that particular tribe or community. In fact folk culture is the unwritten or oral history of common people. The oral folklore passed from generation to generation is kind of a direct bridge between the present generation and the forefathers. Many resources for historical and anthropological studies are hidden in the field of folklore. Folklore which is prevalent in a society are quite a treasure house of the past. If we explore that treasure house, the bygone period or our roots can easily be recreated to a large extent. As such importance of folk culture cannot be ignored in anthropological studies. We wonder how there is a general affinity of human mind towards art or artistic works. For human beings, nature is the greatest artist and what are projected as art to a human mind are purely influenced by her. Folk art had evolved while the human was closest to nature. As such, folk art always has a universal appeal. Today, in this contemporary world musicians are amazed by the fact that how the folk music of different regions can generate the same kind of vibes in our mind. In other forms of art also, it is noticed that folk art always remains contemporary and relevant with little or no modifications. The main reason for such wonderful character of folk culture is its harmony with nature. Human body and mind are nothing but an extension of Mother Nature. We as a creature exists here, because of the playfulness of nature. So, what is harmonious with nature, will invariably strike a chord with a human mind. Art is the most fascinating side of human existence. As such, to have a deep understanding and to perform scientific studies of art, the starting point should always be the folk cultures. A society, however advanced, has only reached to its present position slowly climbing through the ladder of its past. If a society rejects its own past, then it is the greatest blunder on the part of that society. It means that the society is trying to get rid of its own roots, but, unfortunately, no one can stand erect if its roots are not strong enough. Folk culture is nothing but the living past of a society amidst the present era. Through folk culture we can re-live our past again and realize many aspects of our evolution through the ages. For our own benefits, it is pertinent to protect and preserve our folk culture in unadulterated form as far as possible. A post graduate in Electronics from Gauhati University, Pranjal has a knack for creative writing from his childhood. Sometimes the life around him excites so much that he can't help sharing experiences through his writings.